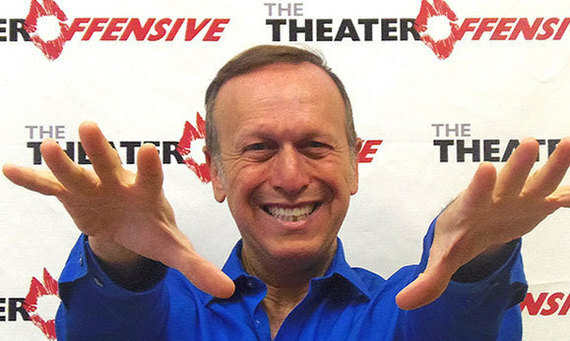 This week I talked with Abe Rybeck Founder and Executive Artistic Director of The Theater Offensive one of the nation's oldest LGBTQ theater groups based in Boston, Massachusetts. The Theater Offensive grassroots movement has been a voice for the LGBTQ community in Boston and beyond raising awareness, fighting bigotry and hate through performing arts and providing LGBTQ performers with a safe space outlet. The Theater Offensive's mission is to present the diversity of our LGBTQ lives in art so bold it breaks through personal isolation, challenges the status quo and builds thriving communities. Last November First Lady Michelle Obama presented their youth group True Colors with the National Arts and Humanities Youth Program Award which is the nation's highest youth humanities award. This was the first LGBTQ organization to receive this prestigious honor. I talked to Abe about the significance of his work in the current political climate and his spin on our LGBT issues. It's so important before we say anything about that answer to remember the massive diversity of our community. Why this is so important is that in the last weeks I've seen a lot of rumors flying around about 'Oh there's going to be an anti-LGBTQ order coming out from the White House. Get ready we're next'. We are not next, we are already under attack. Think about who we are: women, trans folks, people of color, people who want to drink clean water. That's all of us. We are already under attack. The Theater Offensive has had Muslim employees and Muslim board members. It's really important that we remember that these members of our community, if we're not standing together like this, how are we calling ourselves a community? We are already under attack and The Theater Offensive the way I see it, we need to be already in action. So we're mobilizing as part of the resistance to this. I think culture plays a vital role in resistance. Culture is part of the problem that created the situation that we're in and it's part of the solution. I heard a joke on Saturday Night Live which I think considers itself you know kind of progressive. There was a joke in the news segment about trans women of color or in other words the reason Trump won the election as if the reason Trump won the election was because of identity politics of LGBTQ folks. I think the opposite is true. The reason Trump won is because white supremacists grabbed on to an identity movement and went with that. And anti-gay forces grabbed on to their identity and went with it and though a minority of people in the country, a minority of voters even identified that way or support that, they organized politically in a way that they could win. I think it's really important for us as a community to make sure we're standing up to that and standing together against that. Abe Rybeck's main work is uniting artists, neighbors, community groups and local businesses to collaborate on OUT performance work in the Boston neighborhoods. Collaborating across cultures and generations to create performance work is his favorite part of his job. Abe won the 2007 Jonathan Larson Award for musical theater for his collaboration on the book of True Colors alumna Melissa Li's Surviving the Nian. Abe was declared one of the Heeb 100 progressive Jewish world cultural leaders. He is proud to have received several awards from his peers in the community.